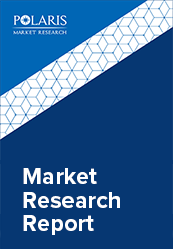 The global CAR T cell therapy market was estimated at USD 149.3 Million in 2017, expected to grow at 45.6% CAGR by 2025. CAR-T (Chimeric Antigen Receptor) cell therapy comprises re-engineering cancer patient's white blood cells (WBC) to fight the malignant cells by recognizing them. During this therapy, the person’s T cells are extracted, preciously reformed and then inserted again to the person's body where the restructured cell multiply and target cancer cells. Currently, CAR T cell therapy is recognized as vastly effective in patients with blood cancer who are already gone through alternative cancer treatment therapies such as chemotherapy. CAR-T is a revolutionary advanced technology that involves a unique business model in R&D as well as pharmaceutical industries. Increasing levels of acquisitions as a part of innovative research and the increasing importance of cellular therapies are estimated to significantly boost the market growth. For instance, as per the current market scenario, Novartis and Gilead are leading key players of CAR-T with their first therapies approved in pediatric Acute Lymphoblastic Leukemia (ALL) and adult Diffuse Large B-cell Lymphoma (DLBCL). Moreover, Celgene is also associating with Bluebird Bio and are expected to carry the first in class B-cell maturation antigen (BCMA) CAR-T for Multiple Myeloma to market up to 2020. Increasing number of patients presenting a failure response to alternative therapies and growing occurrence of cancer cases are expected enhance the growth of the global CAR-T cell therapy market. High cancer cases are anticipated to increase the demand for reliable and effective therapeutic treatment approach for enhancement of quality of person’s life. However, complexity associated with manufacturing process, high costs as well as life-threatening toxicity are some of the factors estimated to hinder the market growth. In 2018, CAR T therapies are estimated to be the highly significant market as being such flattering as well as the relevant theme for researchers and investors. CAR-T is at the leading stage of cellular therapies, with additional methodologies with its similar challenges and promises. It is expected to remark the new insights and products on the viable capability as more patients are treated in a commercial setting. Such therapies are estimated to generate a vast revolution in the oncology sector, complementary to the ongoing breakthrough of immuno-oncology. The Global CAR T Cell Therapy Market is segmented on the basis of target antigen, application, and geography. On the basis of application, the therapy for Diffuse Large B-Cell Lymphoma (DLBCL) was estimated to be the largest market sharing segment followed by multiple myeloma. In addition, Chronic Lymphocytic leukemia and follicular lymphoma are expected to be the major market segments during the forecast period. The first therapy approved was in pediatrics and/or young adults Acute Lymphoblastic leukemia (ALL), an ailment with a high unmet need where CAR-T indicated high effectiveness, nonetheless, which represents a very small patient population. In terms of geography, North America was estimated to dominate the global CAR T Cell Therapy Market. Increasing research and developments programs as well as ongoing regulatory approvals are factors attributed to the augmented market growth for CAR T cell therapy. For instance, Kymriah (a Novartis product) has cleared the USFDA approval in August 2017 for the treatment of patients suffering from acute lymphoblastic leukemia. Moreover, according to an industry report, key players such as Novartis and Kite are the first to reach the US market and are anticipating to focus on expanding the number of academic centers that can provide appropriate cancer treatments in 2018. Major companies are focusing on small firms with a working methodology of securing the end goal to manage position in the market and are associated with mergers and acquisitions, key joint efforts, and novel item advancement to pick up profit share in the business. Some major key players in global CAR T Cell Therapy Market includes Novartis International AG, Kite Pharma, Inc., Juno Therapeutics, Pfizer, Inc. Celgene Corporation, Cellectis, Sorrento Therapeutics, Bluebird bio, and Immune Therapeutics among others.